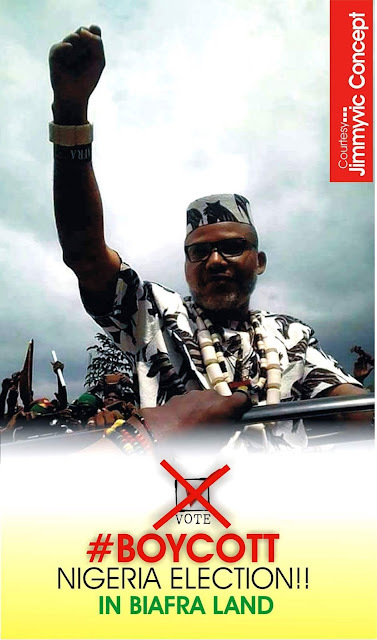 Reading through the humorous lines of a Nigerian journalist; my dearest friend Churchill Okonkwo as he forcefully tried to make sense in his certain ‘affinity’ piece, I could not put myself together but found solace in a podcast Nnamdi Kanu made in 2015. He clearly stated that with reason, dialogue and debate, Biafra question will be answered but if Nigeria ever gives Biafra the option of seeking their freedom by violence, every living thing in Nigeria will go down. As the leadership of IPOB continues to cuddle peace; some politically fed journalists and leaders have taken things for granted. They have taken the lives of the people of Biafra lost since 1967 till date for granted and then you see them make funny claims. Like my friend; who believes that Biafra is an affinity, a thing that goes and goes without limit. By the time he hears boom and his relative is rushed to a deserted hospital; he would regret not fighting for referendum = peaceful resolution with me. I have always made it clear that media is pivotal to nation building and destruction; simply because it can penetrate the people more than anything. When one tries to discourage determined people, he is only making things harder for himself. Biafra has come to the point that when you don’t address it; it would explode and take everything. There will never be retreat or surrender; Biafra must come or death for us all takes hold. Can’t you see the determination of millions of youths in Southern Nigeria? Can’t you see they are all soldiers waiting to be armed or forced into armed struggle and can’t you see that Nnamdi Kanu is suffering to keep them on the path of peace? They will get loosed someday and there would not be a hiding place for us all. Both the young man saying Biafra will not get a referendum and the one saying Biafra will get a referendum, both the rich politicians and the poor masses will suffer immeasurably, the bigger question remains who is ready for such situation? As a journalist sympathetic to Biafra agitation; I know where it would get to and I am ready for the worst. As a journalist, politician, poor man or rich man opposed to solution which is justice through referendum; are you ready for the worst? Nigeria will automatically hand the option of war to the people of Biafra if they continue to oppose referendum, which is the solution set aside for civil agitation like Nnamdi Kanu’s IPOB. I have tried to study what other option Nigeria has to addressing this inflammable agitation but there is none virtually on the table. Are they angling for a military/war option when they could not defeat tactless Boko Haram for eight years now? Which country has ever survived a second civil war? This is another big question Nigerian government has not asked herself. Nigeria is so timid and backward; so incompetent and dependent, one begins to wonder if strong countries never survived second civil war, in what shape it will keep Nigeria. With everything the agitators are doing and where Nigerian government is going; this current agitation will result to full blown crisis unless referendum settles it. Fighting insurgence in the North and creating another war front in the South will be disastrous; this divisive country cannot execute a war. This country is not glued to sustain; the centre cannot hold and "things has falling apart". Who is not aware or feeling it that Nigeria has fallen apart? Forcing Biafra to choose the path of violence will be disastrous and this is why I am on top of my voice over referendum. It is good that I remind Nigeria that path of violence will make things harder for everyone; I am already preparing and getting ready to taste death. The worst thing that can happen to a man is not death but what one died for. One that dies fighting for his country or nation died the best death and what happens when both Nigeria and Biafra live with the ideology? Children that never caused this or knew nothing about these failed politicians will suffer and die. Poor masses that yearned for a stable world all their lives would die and for nothing, they died and we that stood firm and opposed war, called for referendum to avert war will die with atom of regret. One would ask me to urge Nnamdi Kanu to call off his agitation and put an end to the impending war; but won’t ask me why for over fifty years, Nigeria failed to address Biafra question with infrastructure and other things. If a man waited fifty years for a wrong to be corrected and it didn’t; if he chooses to correct it, he should be without blame. I don’t have superior reason to ask Nnamdi Kanu to call off his agitation as his agitation is long overdue. If Biafra is given the option of violence; there would be no living thing left in Nigeria, Biafra will die with everything. It would be a war of aggression; the people of Biafra will aggressively respond because they have endured immensely. It would be a war of revenge because the people of Biafra have not forgotten how their parents were massacred in 1967. It would be a war of pride because Israel will love to cement her control over British control. It would be a war of conscience because the world might not be able to stand the second killing of the people of Biafra. 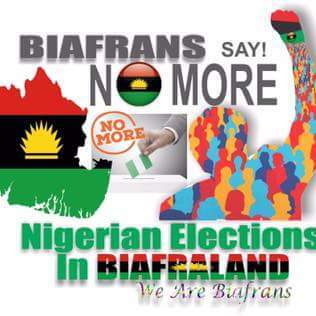 Nigeria must do everything possible to stop Biafra second war; this can be achieved by releasing Nigerian psychologists, social analysts and elites to start to campaign for a better Nigeria that South may vote to stay in the inevitable referendum. There is no possibility that Nigeria would survive a second civil war and neither is there possibility that the remnants of Nigeria will find it easy to cope in advent of second civil war. Only referendum can give Nigeria or remnants of Nigeria a lifeline.